Can you convince sellers to remodel first? Did you see that Inmann article by Gill South about Tracy McLaughlin? 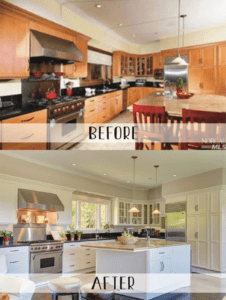 (https://www.inman.com/2017/09/13/agent-transforms-unsellable-homes-into-chic-money-machines/) Tracy is a top producer who specializes in getting sellers to pony up significant amounts of money to make renovations before selling. Her marketplace is very high-end Marin County in the San Francisco Bay area. It’s a tactic that I was able to use successfully a hand-full of times in my career. But that got me wondering. How does an agent gain the confidence to convince a seller to put up a ton of money to remodel before selling? That takes a lot of bold nerve. Especially if the home is in the average price range, not a high-end property. I’m not talking about getting the seller to paint for $120 or re-carpet for $1,200. Most sellers can agree to those quick cosmetic changes. I’m talking about bigger ticket items, like replacing the bathroom, putting in new windows, and professionally landscaping the yard. In other words, could you convince a seller to part with, say $20,000 to fix up their $310,000 home? 1. The most important question is ‘Is it worth it?’ Suppose they owe $290,000 and you can sell it as-is for $310,000. That’s just about break-even for them. But if they put in $20,000, you can sell it for $340,000. Now they’ll make their money back, plus an additional $10,000. That’s significant pocket change, but is it enough for them to take the risk? That’s an interesting conversation to have with the sellers. Ask more experienced agents for examples of when they’ve convinced a seller to do some work and it made a difference in sales price. Tour a lot of homes in the same neighborhood and compare them. Make a list of the contrasts. You’ll quickly get a sense for the difference in sales price between those that are fixed up and those that aren’t. Don’t focus on flipped/rehabbed properties. Just look at homes where the seller has done the work to improve their homes. Gather proof. Keep track of the data as you do your research. That will give you the content you need for making a nice presentation to the sellers. Eventually you’ll have plenty of your own sales data to offer as proof that you know what you’re talking about. 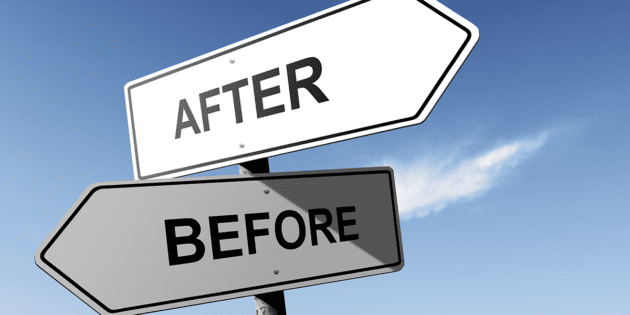 Finally, you’ll need to create a before and after CMA. Make sure you protect yourself by repeatedly stating in writing and speech that you make no guarantees. They use their savings or borrow from relatives. They agree to take out a second mortgage. This must be done before the home is put on the market. You, the agent, are willing to partner with them to loan them the money (provided you have it to loan). If you are convinced that the improvements will result in an increase in sales price, then loaning them the money is certainly putting your money where your mouth is. You can either partner with them for a split in profits, or charge some kind of fee, or offer the money out of the goodness of your heart, just to sell the home and boost your reputation. Protect yourself with a solid contract stating the terms of any agreement. Put some or all of the work into escrow to be paid at closing. You may have a hard time convincing a contractor to do this, but if you have a good relationship with someone, they might agree to it. Essentially, someone is going to have to assume the risk. Preferably it’s the seller assuming the risk, either through a second mortgage or their own savings. To persuade sellers to make improvements, you’re going to need to make a compelling argument. You’ll need to convince them that the changes will make a difference in the future value of the home. In her article, South points out that design is the icing on the cake. You have to convince your sellers that buyers are attracted to certain design features today, and that their pristine 2000’s granite counter tops feel dated. In the end, convincing them about what to remodel may be a more difficult argument than getting them to spend the money! If you have any examples of getting more money for a seller because they spent significant money fixing their property, please share. Linda Schneider, a real estate marketer, author, and former agent for 30 years. She thrives on helping agents make money using creative and affordable prospecting tools and real estate newsletters. Get her latest book, Door to Door Real Estate Prospecting on Amazon.com.